We just recently stumbled across this article from Smithsonian.com, published last summer. 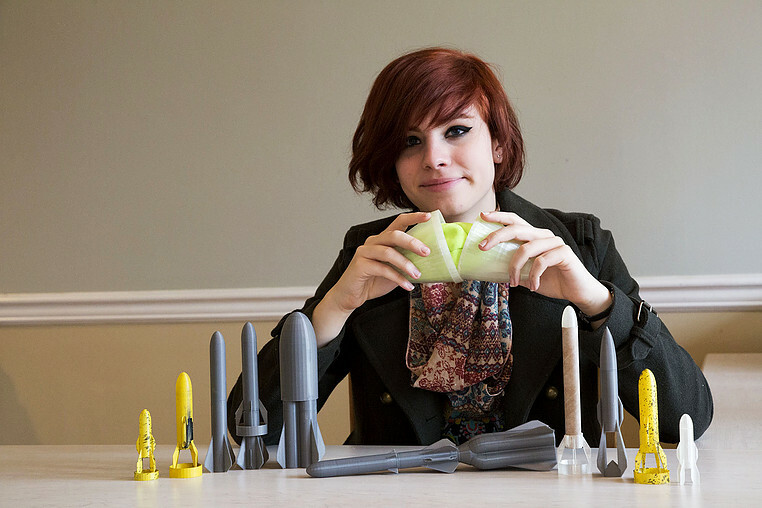 Meet Alexis Lewis, a teenage inventor who thinks all kids have the capability to invent. Here is a powerful and inspiring interview with the then 15-year-old. (Smithsonian Magazine Online) – Benjamin Franklin invented swim flippers when he was 12 years old. Frank Epperson, age 11, conceived of the popsicle, and 16-year-old George Nissen thought up a trampoline. Alexis Lewis, a 15-year-old inventor in Chapel Hill, North Carolina, wants children across the country to know that an inventor isn’t something you have to be when you grow up; they can be one now. Lewis holds a patent for a wheeled travois—a triangular load-carrying device with a bamboo frame and a bed of netting that she designed to serve Somali refugees, who need to transport their children many miles to camps and hospitals. Her patent-pending emergency mask pod is a football-shaped canister with protective gear that firefighters and first responders can throw through a window of a smoke-filled building to those trapped inside. Photo courtesy of Alexis Lewis.